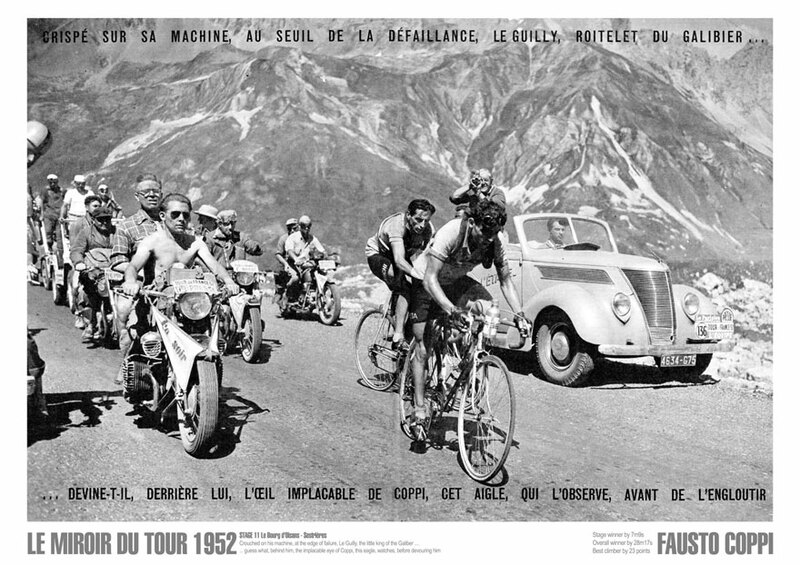 A few stunning images created from the magazines published at the time. 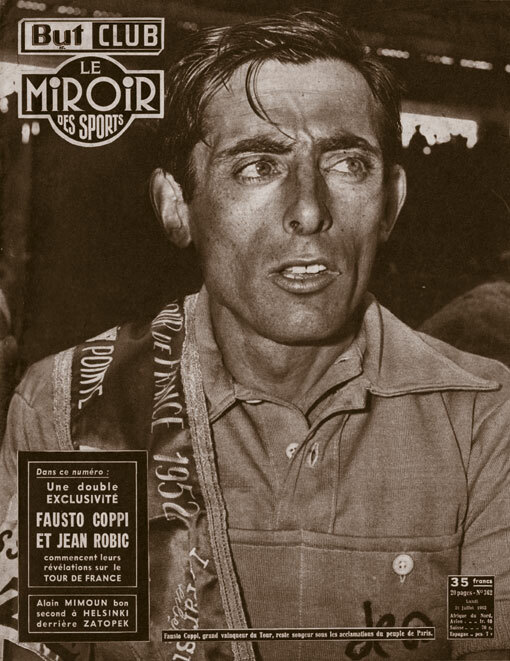 The first is a digitally-enhanced image based on the front page of But et Club / Le Miroir Des Sports showing Tour winner Fausto Coppi at the Parc des Princes, Paris. Amongst other issues the dis-colouration of the paper has been removed and the overall contrast restored. The second has been created from the centre pages of Miroir Sprint magazine. Here the accumulated issues caused by the printing process, fading and damage over 50+ years have been reduced by hours of digital editing. The result - a new picture based on old scene.